We are a social enterprise, community driven, women-owned business built on hustle, grit and determination to do business better. Wolves and women have much in common. A wild spirit, creatures of instinct, loyal and protective of their pack and young. The wolf will become our reminder of balance. That when we feel the rush of daily life weighing us down, when we feel our souls hungry or that overwhelming urge for wide open spaces, we know where to run to. So lets find those places that exists outside of human time, quiet enough to really hear what we are longing for and tune in to our own rhythms. Imagine yourself slowing down, trusting your instincts and opening your senses. This is how we remember and stand in our power, we become strongly connected....this is balance. 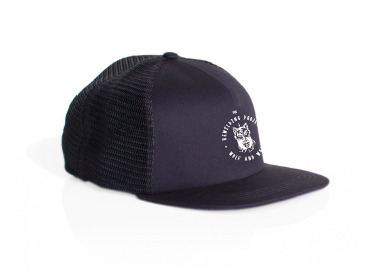 Find the classic look with this Black Trucker Cap with the Wolf and Women Campaign logo. Coming in a black colourway, the cap is made from a cotton material for a comforting fit. This cap has mesh along the back which allows for high breathability whilst you are out adventuring. With an adjustable strap to the back these caps are designed for all shapes and sizes. The unisex Barnard Tank is a great piece for summer or for your workout at Wild Fit or the gym. With its super low, raw (unsewn) arm holes and awesome fit, its definitely the tank for you! These tanks come with the TRP logo on the front and a plain black backing. TIP: The Barnard has large open armholes, its not your standard tank. If you're looking for a more traditional shirt checkout the Wolf and Women Tee Shirt. These can be purchased as either $25, $50 or $100. 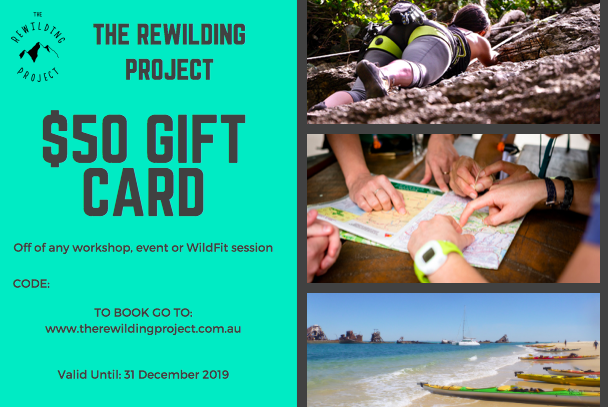 A personalised gift card, that has space for a personal message from you!